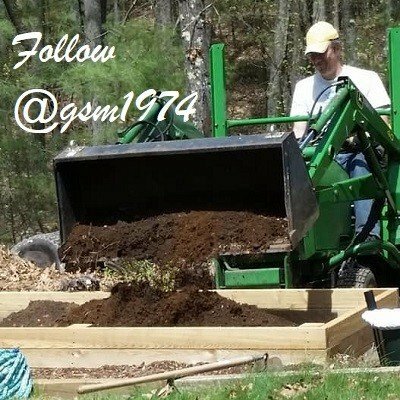 For those of you new to the story, I constructed a raised bed and planted some vegetables with the goal of having some fresh organics for our own use. I planted some seedlings I'd started inside in early April and also planted some seeds when the garden was finished in early May. So here's the late May update. Overall we're doing pretty well although there are some challenges. The Roma tomatoes I started indoors were slow to get going as they definitely got some shock to the switch outdoors. But they've rallied and are now growing well. I had also started 4 yellow squash and 4 cucumber. 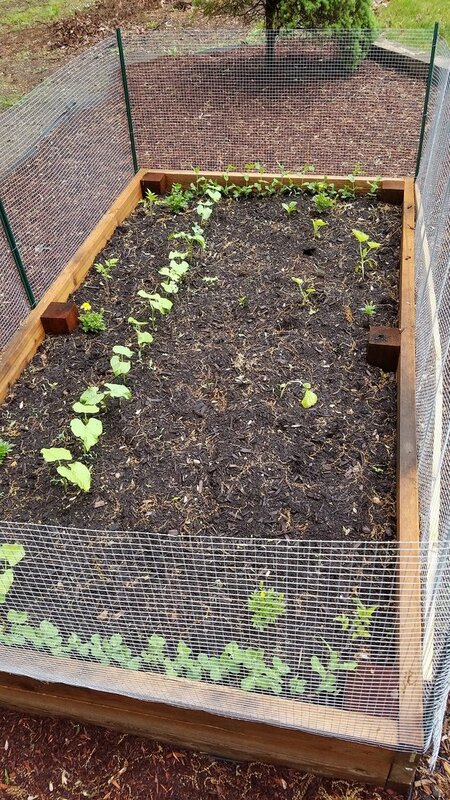 The cucumbers all didn't make it - 2 were eaten by some animal in the 12 hours between when I planted everything and when I got the fence up. The other 2 succumbed to the same heat/sun shock. Clearly my putting out the plants for an hour or two the week before planting wasn't enough. If anyone has any tips on a better technique for transitioning indoor-to-outdoor plants please leave in a comment. I also planted 4 jalapeno pepper plants and while hanging on, they aren't really growing yet. Same indoor-to-outdoor shock, I believe. For the plants that didn't come up I put in replacement seeds. 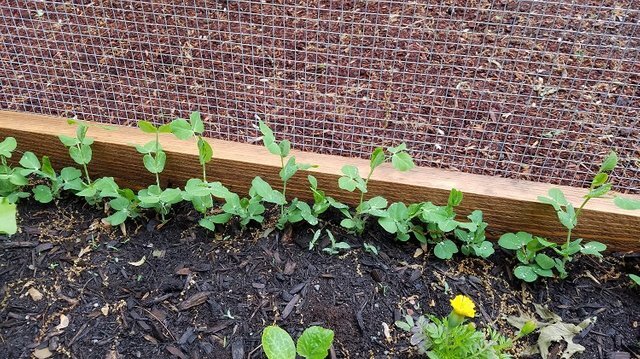 The peas I planted along the outside edges are doing great and they will climb up the fencing nicely. 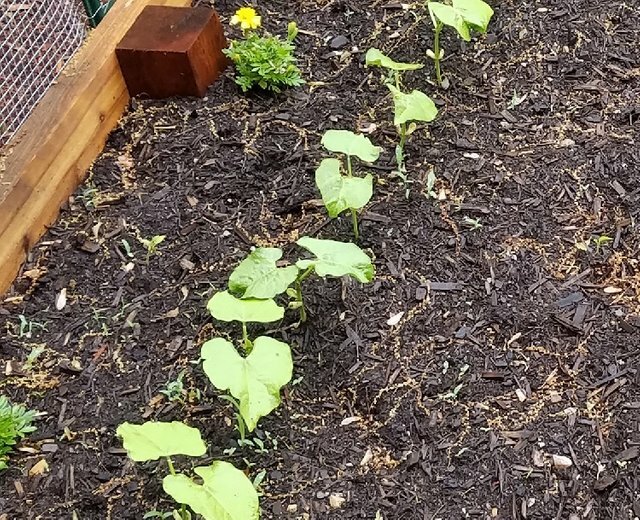 And the Italian Green Beans planted by seed are also doing very well. So a little bit of a slower start than I wanted but it's still not June yet, so I'm not too concerned.